I don`t drink Chablis wines that often, I`m not sure actually why, because It`s in most cases The Chardonnay wine that I prefer, and a white wine style that I really like in general, with other not too oaked white Burgundies. Yes, the prices are probably the major problem. 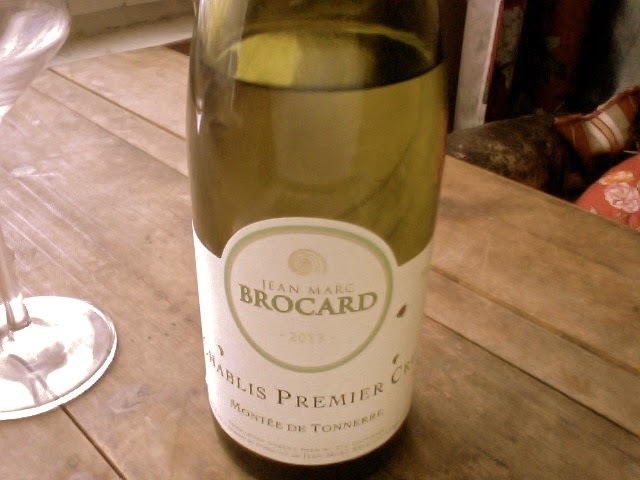 I haven`t really found yet many Village level Chablis (one step below Premier cru) that are that exiting, or values. When compared to e.g. Rieslings, let`s say from Alsace or Germany, you can get inspirational quality, with just 10-20 euros. But nevertheless I really adore a good Chablis, it´s just that Burgundy is Burgundy, a hit-and-miss labyrinth, but a labyrinth where you can find also wonderful gems.. I was a bit concerned of the 2013 vintage, as it`s supposedly all over the place. But was plesantly surprised. Aromas of green apple, hint of honey, some chalkyness, white pepper. Fresh and appealing.